Avocado is a natural way to nurture your skin. Avocados benefit your skin not only when you eat them, but also when applied topically they prevent dry skin and brittle hair & nails. Avocados are packed with essential nutrients that soothe and moisturize parched skin. Avocados have abundant amounts of vitamins and nutrients including beta-carotene, lutein, vitamin B6, C, E and K, potassium, zinc, selenium and folate. The avocado oil has long been used in many beauty products, such as cleansing creams, hair conditioners, facial masks, massage lotions and bath oils. 1. Cleanse Skin: Avocados are rich source of vitamin A which contributes in removing dead skin cells from your body. They also contain glutamine, an amino acid, which cleanses and guards skin from environmental impairment. 2. Soften Skin: The avocado oil is easily absorbed into your skin, so it works great when used in massage lotions. It tends to penetrate deeply into skin layers and therefore very effective in cleaning the skin and restoring it’s nutrient components. In the process it contributes in stimulating growth of new skin cells and increasing blood circulation in the skin. 3. Effective Moisturizer: You can make your own moisturizer at home. It works great in softening and hydrating dry skin. Just mash 1 or 2 ripe avocados depending upon your requirement and mix with your favorite essential oil or honey. Apply this paste onto your skin and leave it on for 20-30 minutes. Rinse with lukewarm water. 4. Reduces Wrinkles: Avocado contains antioxidants and amino acids, which help in removing toxins from your skin. These toxins if remain on your skin can cause skin’s premature aging and wrinkles formation. To get rid of these toxins, you can apply 1 mashed avocado as a facial mask. Leave it on your face for about 20 minutes then rinse it off with lukewarm water. 5. Shiny Hair: You can make your own avocado hair conditioner at home. Simply mash 1 avocado and mix it with 1 egg and your favorite essential oil. This mixture will work as a great conditioner for your hair. Massage this mixture onto your hair and scalp and leave it there for 15 minutes. Wash your hair with your favorite shampoo thereafter and if needed, may apply your regular conditioner. The healthy oil contents in the avocado will moisturize and soften the dry and brittle hair. The vitamin E will provide a natural shine to your hair. 6. 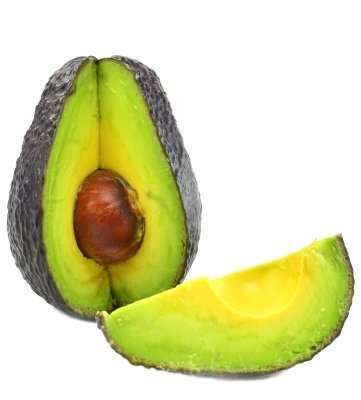 Avocado Facial Mask: Blend 1/2 ripe avocado and 3-4 drops of vitamin E oil into a fine smooth paste. If you have a very dry skin or in very cold months, add a tea spoon of honey for hydrating your skin. Wash your face with water to remove dirt from your face and to open the face pores. Pat your face until it is a little damp. Gently massage the paste onto your face. Let it remain on your face for 15 minutes. Rinse off your face with lukewarm water and if you like, may give a final rinse with cool water. (7) Avocado Hair Mask: Blend 1 ripe avocado, 1 tbsp. of yogurt, 1 egg and 1 tbsp. jojoba oil or castor or coconut or olive oil into a fine smooth paste. Gently massage this paste onto your damp hair, paying special attention to the hair ends. Leave it on your hair for about 30 minutes. Wash your hair with your favorite shampoo and if needed, condition it thereafter with your regular conditioner.